Johnny Hartman is one of the most iconic jazz singers of the 1950s and ’60s, who became known for his successful jazz collaborations – including the 1965 masterwork John Coltrane & Johnny Hartman – and smooth, distinctive ballads with a “velvety” baritone voice. Born in Houma, Louisiana on July 3, 1923, he learned singing and piano at a very early age. After attending DuSable High School, he acquired a scholarship to Chicago Musical College. Hartman performed as a private in Special Services in the U.S. Army during World War II, but his professional debut came later in the mid-40s. He won a singing contest and had the opportunity to perform with Earl Hines. Hartman joined the Dizzy Gillespie Big Band when Hines’ band dissolved in 1947. The first notable LP by Johnny Hartman, Songs From the Heart, was released in 1956 by Bethlehem Records, boasting a quartet led by the legendary bebop jazz trumpeter Howard McGhee. His second album, All of Me, also included the Frank Hunter String Orchestra. 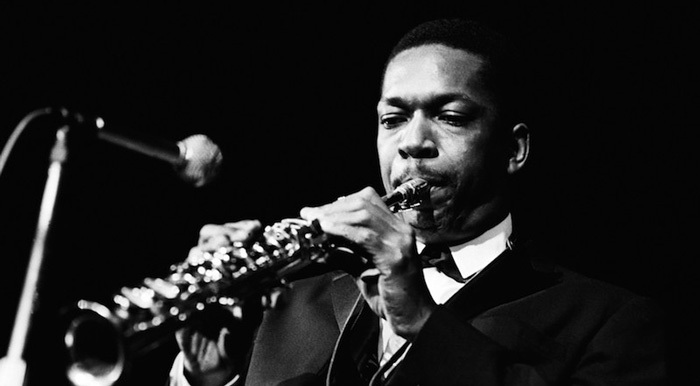 Hartman’s 1965 duet album, John Coltrane & Johnny Hartman, became an instant jazz masterpiece and sold very well. Comprising of a carefully picked set of ballad standards, particularly his soulfully beautiful renditions of “Lush Life” and “My One and Only Love”. He released two more albums for Impulse! Records; namely I Just Dropped By to Say Hello (1963) and The Voice That Is (1964). Although Hartman recorded various jazz and pop albums for a number of labels during the late ’60s and early ’70s, his musical input was minimal during the 1970s. He made a strong comeback with Once In Every Life in 1980 and even received a Grammy nomination for his efforts. Johnny Hartman married Theodora “Tedi” Boyd, a dancer and private secretary, on January 25, 1958. His 1985 final recording This One’s for Tedi was a tribute to his wife. Hartman died on September 15, 1983. He was 60 years old.